After that party in Auburn, Luke invited Kensley and some of her friends to Nashville, where Luke had moved after graduation. In the following weeks, they would text and talk for hours over the phone. Kensley had such a good gut feeling about Luke that she even left a beach trip early to go spend time with him one weekend. They have been together ever since. They have made long distance work between Birmingham, AL and Nashville, TN. They frequent rooftop bars and concerts, and they travel often. They love experiencing new things and new places together. 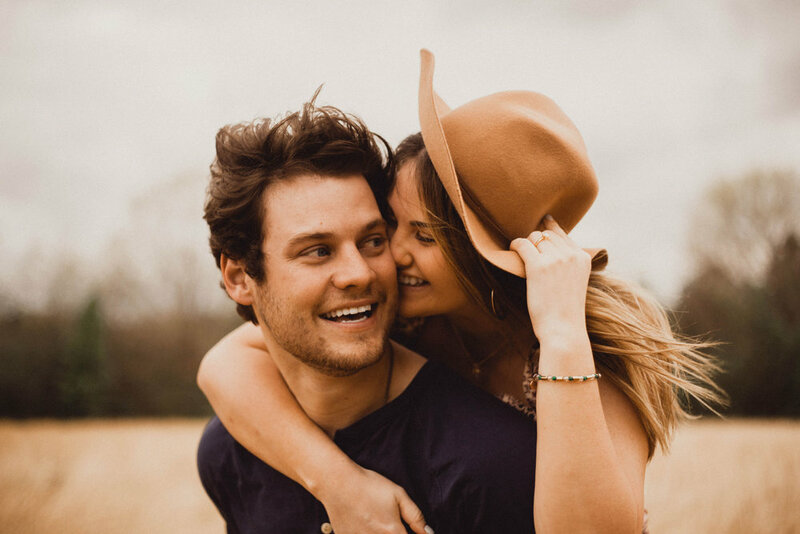 Luke originally rented a rooftop and planned to propose in October. He got Kensley’s sister and two of her best friends in on it. He couldn’t wait it out though. 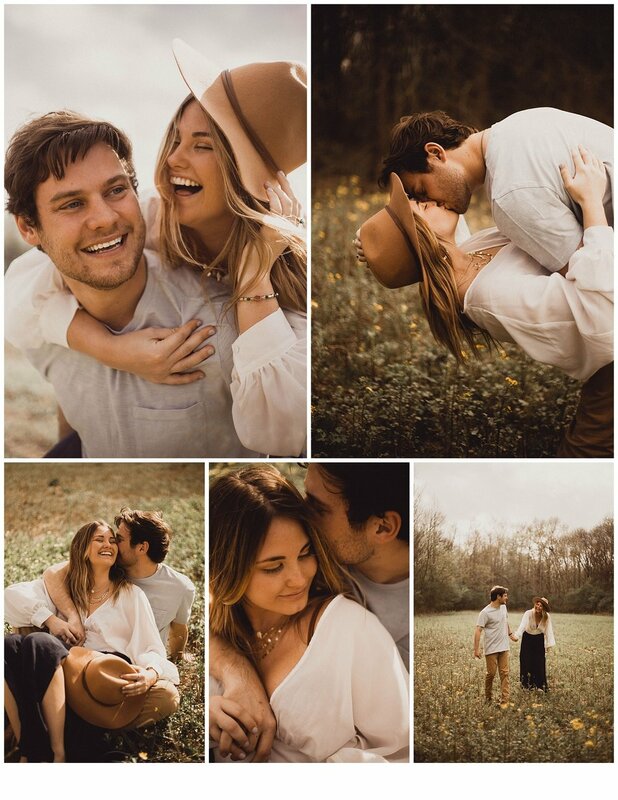 While Kensley and Luke were on a camping trip at one of Kensley’s childhood campgrounds, weekends before his planned proposal, he popped the question. He told her that he wanted to get better at photography, and he set up his camera to take a photo of them in front of a waterfall. Little did she know, he had set the camera to record a video of his proposal. She was completely surprised and had no idea a proposal was in the near future. They got dressed up and met some friends on top of the Redmont Hotel for celebratory drinks and photos. 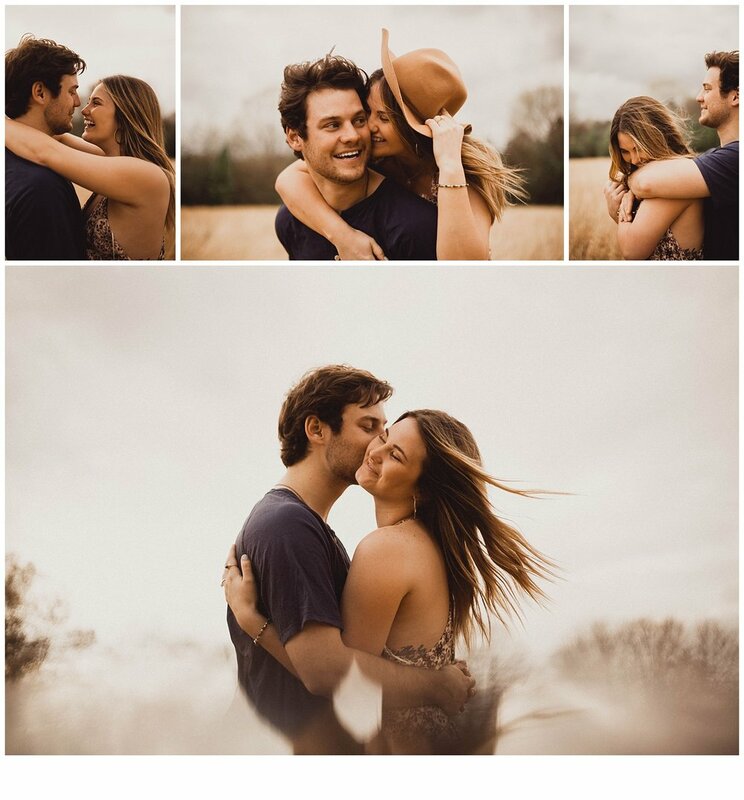 They plan to kick off their happily ever after on September 21st, 2019 with a carefree, fun celebration.